Some of the best wood to use for arrow making are dogwood, cane, cherry, reed, ash, cedar, service berry, willow wands, high bush blueberry and rose shoots. But when you only have mesquite root to use, it is better than nothing. To make a survival glue to use for attaching arrow points or fletching, you can use pine resin and wood ash. The resin has to be heated up and in its melted state before adding the white ash from the fire pit. Mix the two together and add to the arrow while still in its liquid state. Select arrows from the straightest dry sticks available. The arrows should be about half as long as the bow. Scrape each shaft smooth all around. You will probably have to straighten the shaft. You can bend an arrow straight by heating the shaft over hot coals. Do not allow the shaft to scorch or burn. Hold the shaft straight until it cools. You can make arrowheads from bone, glass, metal, or pieces of rock. You can also sharpen and fire-harden the end of the shaft. Fire hardening is actually a misnomer. To fire-harden wood, hold it over hot coals or plunge it deep under the coals in the ashes, being careful not to burn or scorch the wood. The purpose of fire hardening is to harden the wood by drying the moisture out of it. 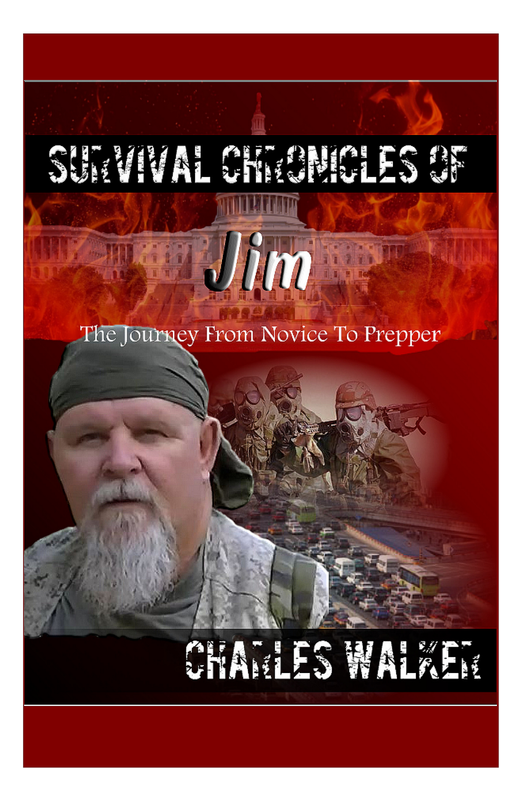 You must notch the ends of the arrows for the bowstring. Cut or file the notch; do not split it. Fletching (adding feathers to the notched end of an arrow) improves the arrow's flight characteristics. 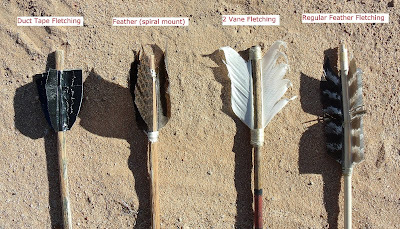 Fletching is recommended but not necessary on a field-expedient arrow.